This is a slightly different take on my tried and tested series today. I hadn’t actually planned to try out this recipe, but I had a day off and I was watching old episodes of Jamie’s Superfood on All4 while drinking my morning coffee, saw this and realised I actually had most of the ingredients so why not make breakfast a bit more exciting. I have the book so I dug it out to check to see if I had what I needed. I didn’t have any cottage cheese so I subbed it for a little grated cheddar and I’m not a fried egg fan so I topped it with some fried mushrooms instead as I had a few to use up. So this time it’s more my take on the recipe as opposed to a proper tried and tested. At first I thought this recipe seemed like a lot of effort but it took me less than 20 minutes and didn’t really create much more washing up than if I was making cheese on toast. A full English would definitely take longer and create more mess and this breakfast is healthier, more interesting and quicker. 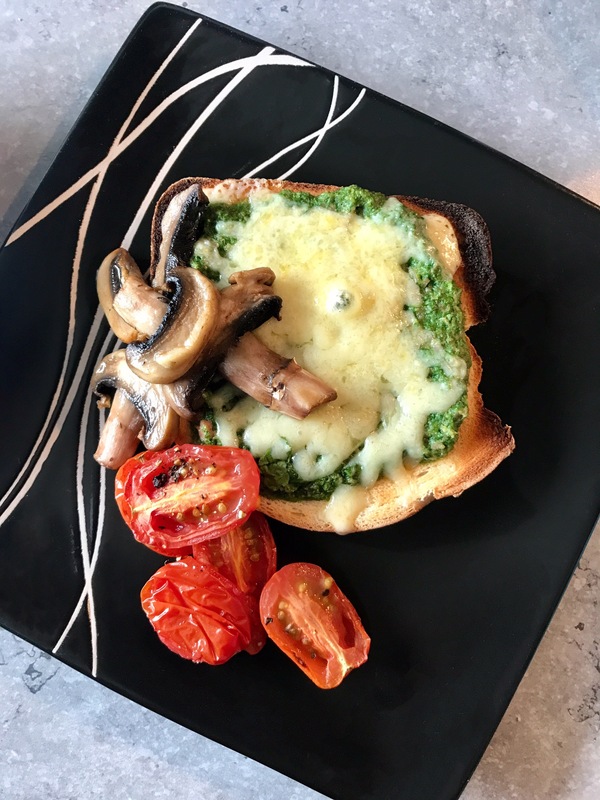 The green topping on the bread is hiding loads of goodness, with ham, egg and spinach packed in you’re getting loads of good stuff from your toast. I used cheddar because it’s what I had but I’d really like to try this with cottage cheese as per Jamie’s original recipe as I think it’d mix nicely into the spinach mixture as opposed to simply topping it like the cheddar did. This makes a great weekend breakfast but it’s definitely hearty enough to have for lunch or even as a quick, light midweek dinner.